Submitted by Migrate Wizard on 2014-07-15 21:12. Determine your destiny, and shape the Fate of a City. In the foothills of the Thunderpeak Mountains, on a trade route in the borderlands between Sembia and Cormyr, lies the rural city of Darthall. This former cleric stronghold developed into a small outpost of society in a harsh environment, but sometimes, the most sinister and dangerous adventures occur within those walls, not beyond them. Will you seek power, fame, glory or riches? Choose your enemies carefully, and your friends even more wisely, for danger and betrayal might lurk around any corner as you shape the Fate of a City. Fate of a City is a story-driven module with plenty of roleplaying and action. This module should provide about 10-15 hours of gameplay depending on how thorough a player/explorer you are. You will start as a first level character and progress to level 6 or 7. There are two potential companions, and it is likely that you will want the support of at least one (if not both) during the game. There is also the option to romance these companions for those who desire to do so. Alignment changes are frequent, and your alignment and actions will have an effect on the events of the game. Note that in many cases, conversation options will go from a good response and a lawful response at the top, down to chaotic and then evil responses at the bottom. Please download and read the PDF manual for more information about Fate of a City. Engrossing roleplaying, where your choices make a difference to your character and others. A gripping and exciting story, where you get to choose your destiny. 2 potential companions, each with their own story and personality. 15 minutes worth of of my own original music in 7 new tracks. 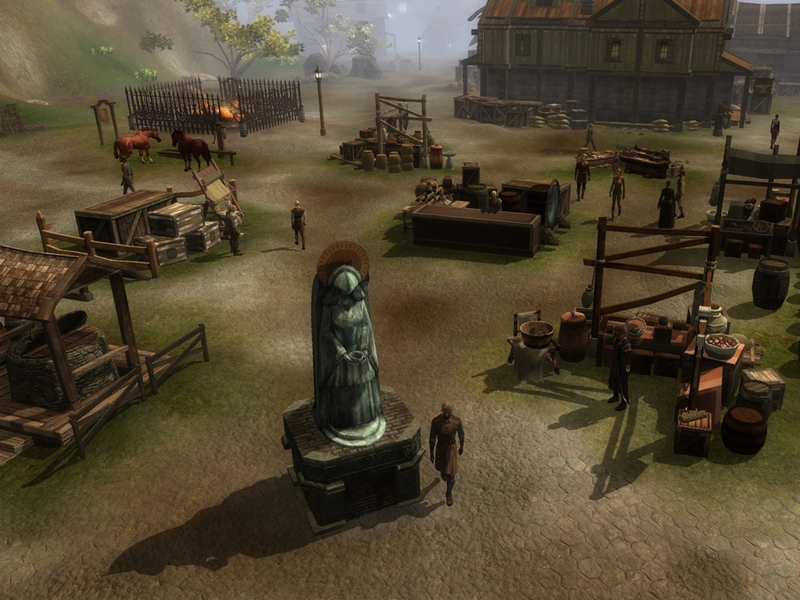 A vibrant and realistic city setting with its own history, located on the edges of Cormyr and Sembia. Unique and interesting quests and sidequests. The ability to roleplay nearly any alignment through your choices. Designed for level 1 characters, with level progression up to level 6 or 7. If you have installed a previous version of Fate of a City on your computer, PLEASE delete the Fate of a City Campaign folder from your My Documents/Neverwinter Nights 2/Campaigns directory BEFORE installation. If you do not do this, it is likely to cause problems with the installation! Copy FoaC.mod to your My Documents/Neverwinter Nights 2/modules directory. Copy foac.hak to your My Documents/Neverwinter Nights 2/hak directory. Copy foac.tlk to your My Documents/Neverwinter Nights 2/tlk directory. Copy the Fate of a City directory to your My Documents/Neverwinter Nights 2/Campaigns directory. Copy the seven .bmu files in the music directory to your Program Files/Neverwinter Nights 2/music directory (or relevant installation directory). Run the module by selecting "Start New Campaign" and then selecting Fate of a City. Please do NOT run using "Start New Module". Obsidian Entertainment for making NWN2 in the first place! And YOU, for downloading this mod. Fixed grammatical errors in: campaign description, books and items and conversations. Fixed conversation conditionals on Leyd that prevented players from purchasing a second Dream Parasite cure if they had already purchased one. Cosmetic improvements to many interior and exterior areas. Improved and added more background sound effects for numerous areas. Added in 6 more beetles for Mad Harry's Quest: 2 in the Transporteer's Warehouse, 2 in the North of the Market District, 1 in the fountain in the Rich Quarter, and 1 upstairs in the Smoking Hog Inn. Fixed an issue where the player could get a second "Keeper's Will" sickle. Fixed a few object placement issues. Modified some of the alignment shifts and their associated dialogue slightly to better differentiate between alignment choices. Adjusted the difficulty of several fights and enemies. Fight at the conduit is "fixed" for SoZ, and the initial number of enemies is based on party size/level. End fights are now more difficult. Fixed issues with conversations not firing in Temple of Tyr and a building in the slums caused by patch 1.21. 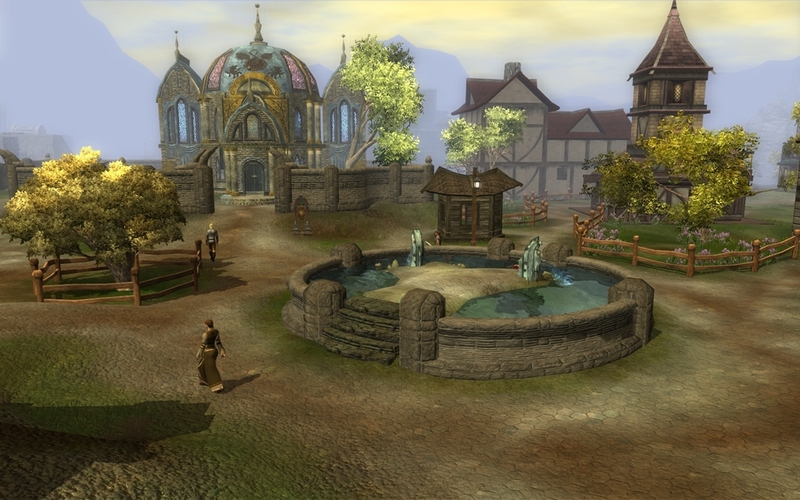 Corrected speaktrigger in Rich Quarter so that the final companion dialogue plays after finishing "While Angels Sleep". Added in additional ending variations based upon the influence level the PC has with the companions. Positive influence levels can now give different endings aside from the romance endings. Added in extra catch-alls so that vital cutscenes will definitely run - there was a possibility that patches may have stopped some from working correctly. Fixed some minor errors in Korihn's conversation. Made the workbench in Sian's shop usable. Significant aesthetic improvements to many areas, including substantial changes to the core city districts. Re-proofread the entire module, correcting numerous spelling and grammar mistakes. Improved some of the journal entries to provide more information to the player. Adjusted the stores so that most will buy and sell all items, and a few extra light rings are sold by merchants. Modified and added background sounds to increase overall ambiance. Added a number of new custom items, most of which can be purchased from stores. 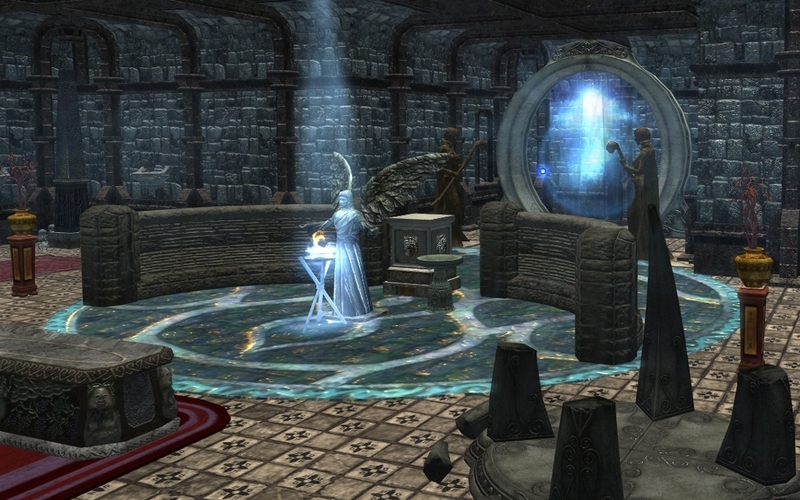 Gave the option to go directly to Leyd in "While Angels Sleep" rather than having to visit Korihn first, and made the conversation and journal entries suggest Leyd is a better option. A new custom mace, "Searing Light", is given as the reward for the sleep "While Angels Sleep" instead of "Brute's Rapier". "Brute's Rapier" is now found as placed loot. Added a potion of lore onto the corpse in the caves in "Passage to Safety" to allow parties lacking in lore skill to identify "Star of the Morning" if they picked it up previously. Hotfix to ensure companion romances "complete" correctly. Incorporated all fixes from 1.06 hotfixes and also made more cosmetic improvements to area design. Added conversation to Mirana thug so that talking to him will fire the cutscene in the event that the conversation trigger does not work correctly. by The Unbalanced (2009-03-04): final score = 8.57; quick pros = Full role-playing, secret plot, interactive companions, multiple outcomes; quick cons = Limited monsters, environments. A Hall of Fame module on the old Vault with a score of 9.21 with 175 votes, this module had 17,114 downloads. I started this campaign years ago but if my memory doesn't trick me I never finished this one. I gave it a go to have a character of appropriate level for chapter 1 of Moonshadows. In shape and style it's very similar to MoW as it's a pure city-adventure. It comes with a wide variety of side-quests and a bunch of custom items for almost all types of weapons and equipment. I didn't encounter any bugs but had to reload quite a few times as combat is very tough at certain points. Only drawback I can see is that the companions are rather boring. While they comment on the story and might even clash with their different world views (lawful vs. chaotic) they lack a convincing backstory and impact on the story. I really enjoyed some of the authors very own music pieces. This module even received some RL-fame as it was reviewed and presented in a german game-magazine shortly after it's release. Anyway, it is very nice and clear, I would totally play other modules of the author. An interesting and challenging campaign. Limited resting by area (some not entirely logical). Oversize indoor areas (we're talking blimp hangar here). Auto-export at the end. While better than nothing, this isn't as good as letting the player do it manually. Limits opportunities for final conversation checks and inspection of the enemy's corpse. There is a lot of dialog and the PC must respond to a number of situations. Definitely an advantage to have a PC with some charisma and one or more social skills. 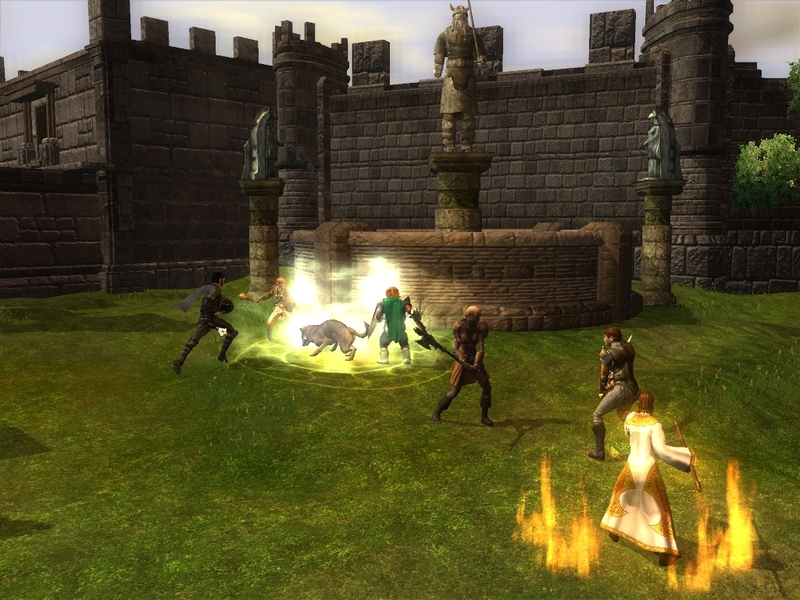 Most of the later battles find the party surrounded so ranged combat and spell casting can be difficult. Hints: In order to build up your PC, don't go to Esme's hideout until you have done all of the side quests. For plot reasons, you start out with nothing and will need some time to equip yourself and get the hang of the place. Overall, I highly recommend this one. Plenty to do and some fun twists before the finale. A very great module. First of all I must say that I am really impressed by the polishness. I didn't encounter a single bug or glitch and this is even more surprising if you consider that the game isn't fully linear, that there are multiple ways to resolve quests and that there are events that are triggered only under very specific conditions. Therefore props to the author for this! About the contents of the module: I liked it very much. A great city adventure plenty of things to do and secrets to discover. The story is solid and well written, and the character are also good. Perhaps your companions may be a little two-dimensional but overall I liked them. The only complain that I have about this game, like someone else said, are the limited resting areas. They can be a chore, especially during the last mission. This module reminds me a bit of of Mysteries of Westgate, a game which I loved and that I played multiple times. And this one also deserves at least a second go. Am i supposed to fight 100 soldiers at the end, 1 OP bad guy and a couple more right after without any rest? is this a joke? You should have in your inventory 3 magical spheres that give to your characters the same benefits of a full rest, (which means complete heal + spells recovery), and you get another one after you kill the OP guy (BTW I agree, that fight is a bit too hard). Oh, i didn't notice that, i finished game some time ago so hard to tell if i even had it in the inventory or not. Anyway, it is one of the best modules out there, and i mean really, really good one. A well made module. 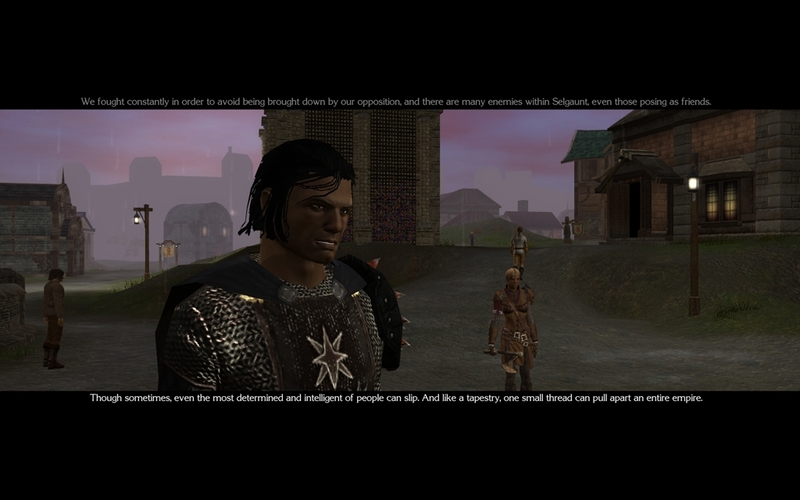 The dialogs are well written and the player is given a good number of choices to make. The combats were also seemed well banalced. A good city-centered module, even if this is one of those in wich you are obligated into a certain situation and decissions at the begginig. In this case, a warrior-class character is strongly recomended (I played with a swashbuckler focused in 2-handed fighting and picked the two companions). (Note that the author says that you're a member of the city guard). In the CON side, there are some over-large areas and the rest-system can put things a little bit on the hard side. Story is not the best I've seen (there is some desproportion between the epic-scale that the author is searching and the situations-level that you get), nor the most original or surprising one... but it's acceptable. In the PRO side, all works well; custom items and music (even if not all of them are my cup-of-tea); and, for the lenght of the adventure, the conversation and role-options with companions and NPCs were good enough for me (social skills can mark an important difference). The difficulty of the fights scales at good pace, becoming hard in two points when the end is near. A good work. If the initial circumstances of the story appeal to you, it could well be a 7. Really impressive. Well written, lots of skill checks and multiple solutions, ability to play any alignment (including some truly ruthless evil options, namely the quest with the dream parasite eggs). 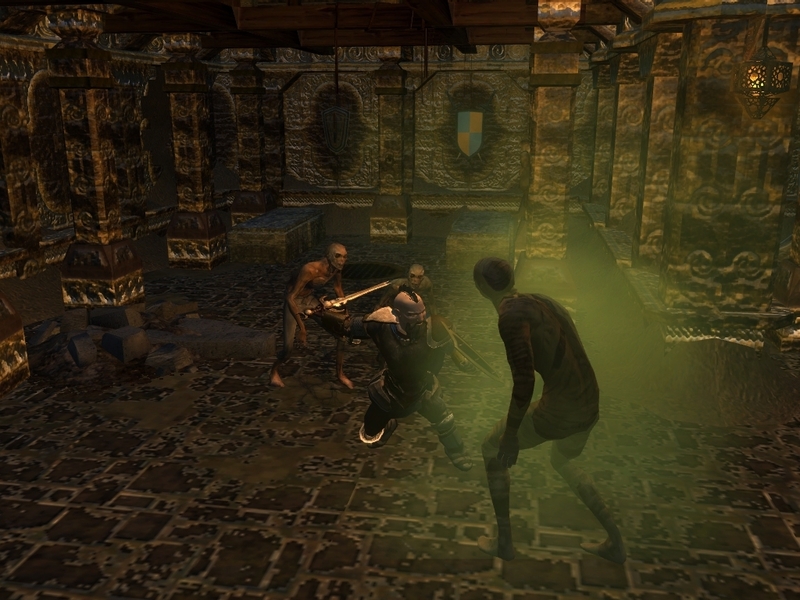 Combat was rather mixed, mainly due to the low variety of enemies and some rather appaling encounters (the endless guards during the assault), but I really liked the fight with the sergeant in the underground dungeon. It was also nice that at least one boss fight in the main quest could be skipped by choosing the appropriate dialogue options and passing a skill check. An underrated gem, in spite of the flaws. I played FotC with a cleric of Tyr, as a prologue/backstory to Tiberius' Maimed God's Saga of sorts. The plot of FoaC is not exactly innovative, but nothing egregiously contrived either, and the limited scale of events has a certain humble charm to it - a module in which you are not called on to safe the world is always welcome! Companions were both interesting but poorly executed, with little opportunities for interaction. Balance sadly seemed all over the place to me, with little of the module posing any significant challenge save for the final boss fight, which I had to attempt a good dozen times waiting for a lucky roll to be able to survive at all (not many tactical options at level 6...). The one thing this mod really lacks though is atmospheric writing; awkward modernisms and rather sterile conversations in general make it difficult to immerse yourself in the otherwise well-crafted gameworld. All in all this is still a module well worth playing as an introduction for a new character, if nothing all too memorable in itself.